Düsseldorf, 01 April, 2017. AquaSymphony stands for the perfect experience in relaxation. Symbolizing a perfect symbiosis of the latest SPA technologies and digital innovations, AquaSymphony transforms the daily shower into an ultimate luxury SPA experience. AquaSymphony embodies ultimate relaxation by blending the most exclusive and by nature inspired man-made SPA environments into one holistic shower experience for all senses. In addition to its impressive size of 1,016mm x 762mm the AquaSymphony composes the perfect interplay of water and innovative technologies that refresh and exhilarate and thereby confer new energy to body and mind. To be set into a dreamlike state of being, an AquaCurtain drops subtle beats of water and the LightCurtain of rainbow coloured lights provides soothing chromotherapy with a personalized light show, whilst a variety of different nozzles allow water to cascade onto the skin creating wonderful sensations. 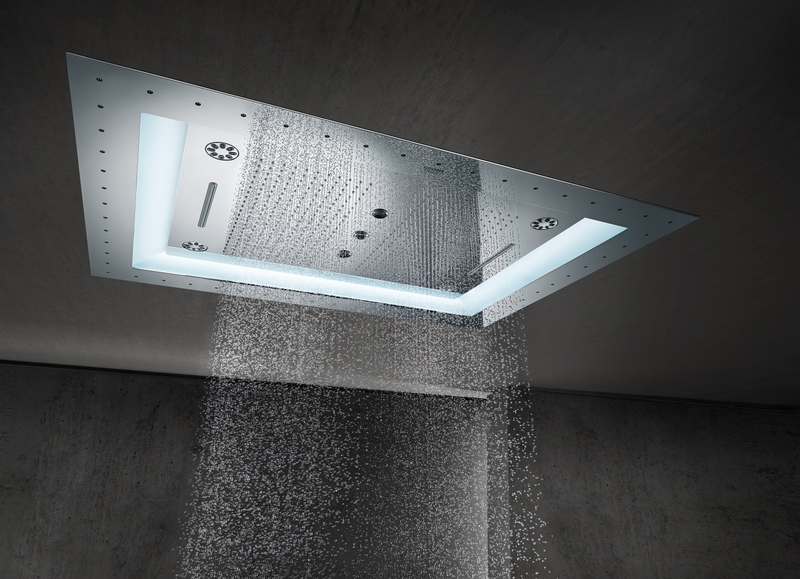 The Waterfall XL Sprays, some extra-wide water outlets, create the sensation of a waterfall. The Bokoma Sprays, eight dynamically pulsating spray nozzles, deliver the sensation of a stimulating fingertip massage. The Rain Spray delivers very large and soft droplets for a luxurious shower feel. With their cool, fine mist, the Drizzle Sprays revitalize the skin. The Pure Sprays provide straight-falling water, rinsing away stress like a clear mountain spring. Additionally, the Gentle Steam is an optional luxury feature for the personal SPA, invoking the relaxing feeling of a detoxifying steam bath for a calm and soothing experience. The highly-advanced sound system is another smart feature that mixes personal favourite music with the sound of splashing water. The F-digital Deluxe base unit box can be connected with an Apple or Android mobile device, allowing to use the GROHE SPA App for perfect control of light, sound and steam. Thanks to those amazing technological features one can enjoy the shower with all its new dimensions. For making the personal shower experience in the AquaSymphony even more special, GROHE exclusively had the world-famous DJ Moguai compose the song “Rain”. After its world premiere at the ISH Frankfurt, the song became available at all relevant music platforms and streaming services on 13 March 2017. The vast range of features can be used in any combination: With AquaSymphony everyone can turn the shower experience of their dreams into reality. It even brings an unprecedented level of play of colours. Red as a treasured Ferrari? Pink like a flamingo or Blue like the depth of the ocean? For the ultimate individualisation, GROHE offers the option to add one’s favourite colour finish which turns the AquaSymphony experience into a perfect symphony of showering. With this perfect, tailor-made home SPA, there is no need to go elsewhere for a relaxing SPA experience. 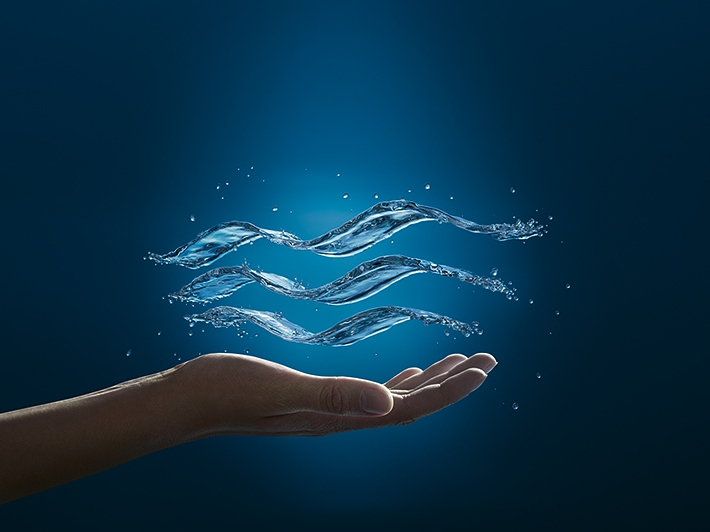 AquaSymphony is part of GROHE’s luxury SPA range – a fusion of premium SPA experiences, German technology, and the legendary GROHE quality which lasts a lifetime. It has a product range for all home areas including the award-winning Sensia Arena, the new generation of shower toilets. With individual settings for water temperature, jet strength and cleansing mode that can be saved as a personal profile, Sensia Arena is the ultimate experience for relaxation, comfort and hygiene. SPA by GROHE stands for the ultimate in-home water experience, turning the bathroom into an emotional retreat for all senses which allows a fully individualised water enjoyment – always appropriate, never overdone.